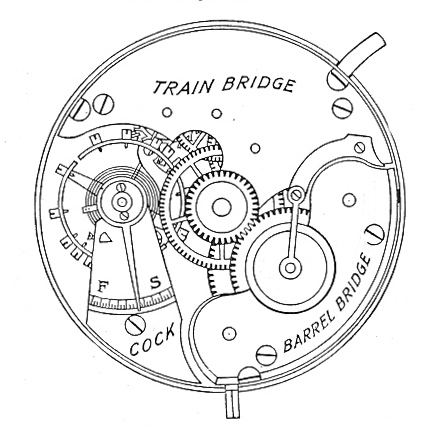 Some Elgin movements are marked with a name in addition to the serial number. This practice is a reflection of the earliest traditions of watchmakers when the marker, an individual person or a person's shop, would sign their products with their own name. In Elgin's case movements were named to honer person's important to the company. For example, one of the more common Elgin names, used on many models through out the companies history, is G. M. Wheeler. George M. Wheeler was one of the company's original directors. Below are some of these individuals.